My children are fussy eaters… phew I said it! I am fairly sure that admission is the first step to recovery and I need to get this recovery sorted out as I have been rather hiding from this issue that has been getting worse recently. I mean they are not extremely fussy and will eat some really strong flavours including indian curry, pesto and thai curry, but they have an aversion to anything green – unless it is broccoli which they adore or hidden in a sauce! As they do eat a variety of foods and will try new flavours I have been convincing myself that they weren’t really fussy eaters, but honestly I can’t eat anymore broccoli! Enough is enough! 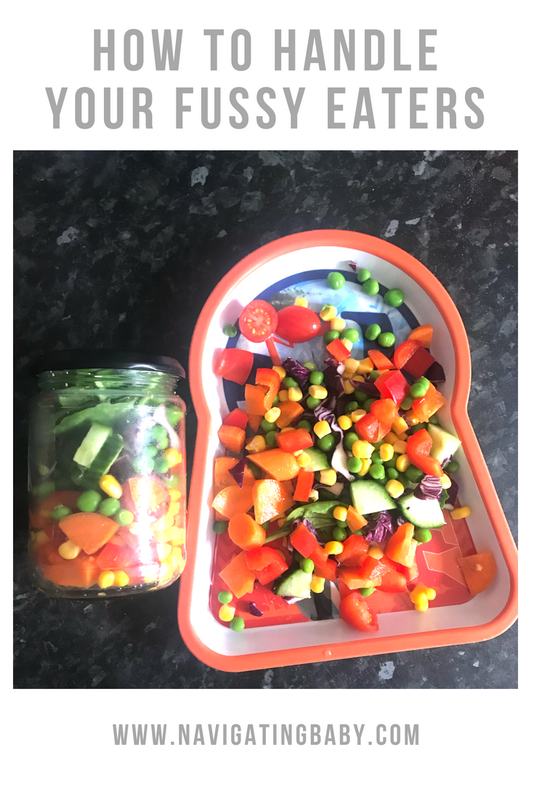 I had seen that Empty Nest Mummy had done a vegetable tastes test successfully with her littles so I decided to give it a whirl in an attempt to make trying new stuff fun. So before they came down this morning I chopped up different raw vegetables and then we put them all on a plate so we could see all the colours that we had. We included a variety of colours and textures and we talked about the health benefits different vegetables might have for them such as helping to prevent disease, improving skin, helping them to grow, helping them to heal etc…. I started with my least fussy child as he already likes some of the veggies we included and I thought that might help. It did! He was very vocal about how much he liked the carrot and the peas (which he has previously hated) that his sisters were intrigued. He is the eldest and they think he is awesome so if he says it is good it must be worth a try. He was the one who tried the most items and who discovered the most likes. He now tells me that he likes Spinach, Red Peppers, Red Cabbage and Peas which he has always maintained he hated. The twins still weren’t willing to try everything, but there was some success as we now have two girls who like peas – woohoo!! As for our super fussy eater; well he still wouldn’t try anything new, but he ate the cucumber and he kept coming over to see what we were doing and asking what the others liked so he definitely had FOMO. This has to be a positive thing. My theory is that if I push him to join in he will just dig his heels in so we just carried on and let him come over when he wanted to. I encouraged him to get involved and explained that if he didn’t like something once he had tried it that was fine, but still he wouldn’t actually try anything. I think we will start to do this more regularly so that we can hopefully gradually introduce him to new vegetables and continue to encourage our other fussy eaters to continue to eat a wider variety. He might be a bit too old for it, but it is worth a try and if he doesn’t go for it I can always read it to the twins – advantages of having lots of littles! It was way more successful than just putting them on the plate with their meals which I have tried endlessly with little progress. I can’t tell you how excited I am to get that pea risotto, that I love so much, back on the menu actually with at least a vague hope that someone else will eat it! Anything with breadcrumbs! That would be every mealtime ruined at mine. School dinners is such a Godsend for me. At least I know he has one decent meal every week day. Ahh mine are such fussy eaters at the moment too! i was really hoping that school would help my little girl be a bit more adventurous, but no such luck so far. Me either! In fact school might be making it worse!! We have cucumbers literally with every meal!! This is an ongoing trial over here too, likes and dislikes can and do change daily. To be fair though, sometimes I'm not in the mood for certain foods either.